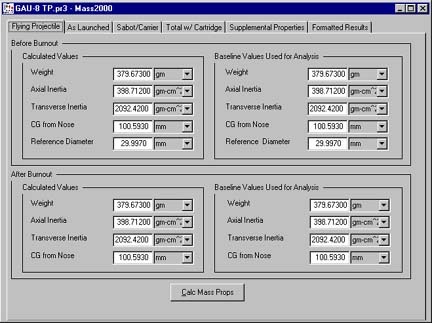 Mass property results are stored in the projectile file to be used in subsequent analysis. Experimental data can be entered and "locked". The system will use this data and calculate only the unknown values. Properties are calculated before and after burnout of a rocket motor or fumer.